Home » Blog » After Calais – what’s the situation? The way that the ‘jungle’ Calais refugee camp was demolished and dismantled can only be characterised as messy and poorly executed. Hundreds of unaccompanied and vulnerable children were left without any information from British and French authorities, and any information that was given, was often complex, incorrect or poorly relayed. 1,500 Children were forced to sleep in containers amidst fires, and some had to sleep outside in the ‘jungle’ due to lack of space in said containers. Eventually the minors were bussed to accommodation centres (CAOs) around northern France. So after Calais what is the situation faced by these minors? The conditions of these CAO’s has been monitored by charities such as Help Refugees and Save The Children. The quality of amenities, provision of food and activities provided by CAO staff varied, but was generally to a good standard. However, access to psychological support for minors is notably deficient. There has been a consistent lack of information provided by the Home Office to both the CAO staff and unaccompanied minors regarding the transfer of minors to the UK. Misinformation and a lack of information from the Home Office is exacerbating the psychological distress of unaccompanied minors and causing them to leave CAOs or express wishes of leaving. After leaving CAOs, minors fall outside child protection measures and are, therefore, in danger. Many unaccompanied minors are suffering from severe boredom and lack of purpose leading to deteriorations in mental health and visible distress. 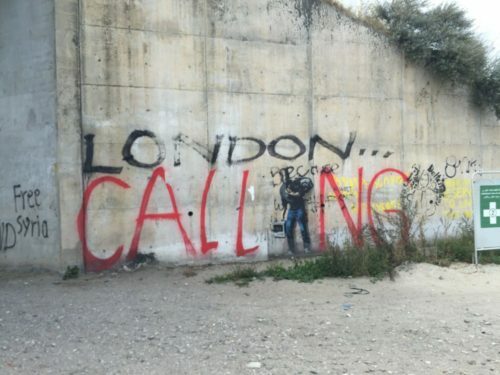 Many have spoken about returning to Calais, and believe they are wasting their time in CAOs. From observations it is clear that the Home Office is providing misinformation and purposefully remaining silent on important issues that directly affected unaccompanied minors. Unaccompanied minors are leaving centres and voluntarily returning to Northern France to attempt to reach the UK by dangerous and illegal means (At least 12 people died in 2016 attempting to reach the UK from Calais by illegal means). Minors that have left CAOs and are no longer in the care of the French authorities are not being tracked by them or the Home Office There are insufficient measures in place to reconnect them with accommodation centres and re-enter them into child protection mechanisms. As such, minors who leave CAOs are at risk of injury and death, as well as human trafficking and sexual exploitation. Minors who previously lived in Calais and left CAOs are now homeless and sleeping outside without proper provision for Winter. If minors continue to receive no information on their cases, and continue to be forced to wait without explanation this situation seems likely to worsen, with more children absconding. When the Home Office release their decisions on the transfer of UAMs to the UK, this number of minors leaving centres can be expected to increase further. With the government stopping transfers of Calais minors to the UK, this is only expected to increase and worsen.